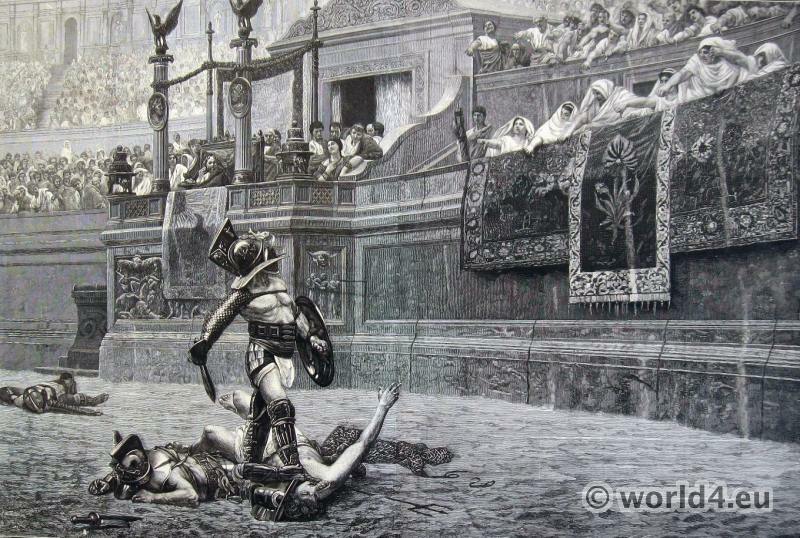 Gladiators in the Colosseum at ancient Rom. Home » Gladiators in the Colosseum at ancient Rom. “Pollice Verso”. Painting by Jean-Léon Gérôme. 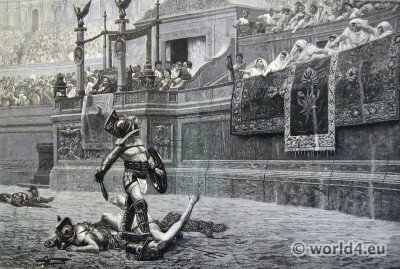 The Latin phrase Pollice Verso means “with a turned thumb”, and refers to the hand gesture or thumbs signal used by Ancient Roman crowds to pass judgment on a defeated gladiator. Gallic fabrics and embroideries. Merovingian fashion. 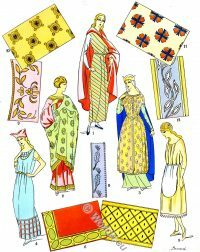 Clothing of the Greek in ancient times. 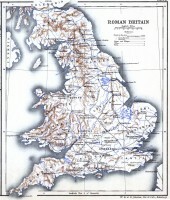 Roman Britain. Maps, Places, Tribes. 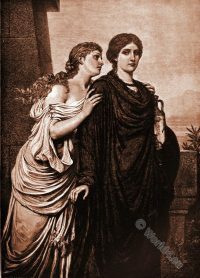 Antigone and Ismene. Greek mythology. Assyrian and Babylonian. Mesopotamian costume history. Ancient Roman costume history. B.C. 53 to A.D. 450.. Ancient Costumes of the Persians and other Asiatics. Ancient Costume History of Egyptian, Greek, Roman and others. Frankish Merovingian costume history. 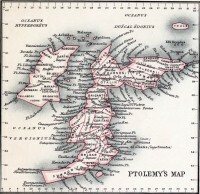 4th and 5th century. Europe in the time of Charles the Great 768 – 814. Maps and Places. This entry was posted in Ancient, Genre, Military and tagged Ancient Military, Ancient Roman Costumes on 12/15/14 by world4.